At the European Southern Observatory exoplanet science brought a rich harvest in the past, and the future looks even brighter as ESO guest author Gaspare Lo Courto explains in the following article. This year marks two decades since the discovery of the first exo-planet orbiting another solar-type star, 51 Pegasi b, by Michel Mayor and Didier Queloz at the Observatoire de Haute Provence, using the high-resolution spectrograph, ELODIE. The intervening years have been very busy for planet hunters and we at ESO have been at the heart of this quest, providing telescopes, instruments and infrastructure for dedicated experiments. In 1996, one year after the discovery of 51 Peg b, a working group was appointed to discuss effective strategies for exo-planet searches at ESO. One year of work later, the group – composed of prominent scientists in the field from all Europe and the USA – delivered a series of recommendations. Most of these were followed by ESO in the following years, and they brought a rich harvest. 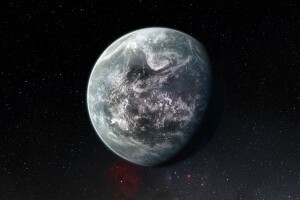 The first exo-planet discovered on ESO grounds was Gliese 86b, published in November 1998 and detected via the radial velocity (RV) method by the recently commissioned CORALIE spectrograph, attached to the Euler Swiss telescope which saw first light in April 1998 at La Silla – a very successful national project supported by the ESO infrastructure. Only few months later came the first exo-planet detected using ESO instrumentation: Iota Horologii b, orbiting a solar-type star, discovered with the CES spectrograph at the 1.4-m CAT telescope. This planet, about twice the mass of Jupiter, orbits its star at the same distance as the Earth orbits the Sun. It is therefore right in the middle of the so-called “habitable zone”, where liquid water could exist on the surface of the planet – the first of this kind. many planets are rotating around their host stars in a direction opposite to the stellar rotation. During routine operations of HARPS it was decided to fully dedicate the 3.6-m telescope to this instrument to improve its performance, and its scientific output. Furthermore, the secondary mirror of the telescope was fully refurbished, with a new cell for increased stability, and a new guiding system was put in place to improve centring of the star in the HARPS fibre. A new Fabry-Perot unit was installed in 2008 to measure and correct short-term instrumental drifts more precisely than the conventional ThAr lamps (lamps filled with Thorium and Argon gas for calibrating spectra). In parallel, a better system for wavelength calibration was being designed, making use of the Nobel Prize-winning technology of the laser frequency comb. Finally, the “ideal” calibration system was installed in April 2015. After a second phase of tests, yet to be scheduled, it will be offered to the community. We expect an RV precision of the wavelength calibration with this system to be better than 3cm/s, enabling us in principle to detect an Earth-like planet in an Earth-like orbit (the RV signature of the Earth orbital motion around the Sun is around 9 cm/s). At the same time, new optical fibers, octagonal in cross section, are being fabricated, capable of increasing the homogeneity of the output light beam. After several tests, and positive results on the HARPS-N and SOPHIE spectrographs, we plan to install these new fibers in May 2015. This is an ongoing story – a long-term commitment – a constant quest to improve the precision of the instrument, both from ESO and from the Consortium, and this has been key to the success of the project. RV measurements have been demonstrated to be the most successful detection method from the ground, as exploited by CORALIE, FEROS, HARPS and UVES, a wealth of other observations are also being collected at ESO, aiming not only to detect but also to characterise exo-planets. Without pretending to be exhaustive, we wish to underline some of these results. The PLANET collaboration has been exploiting the microlensing technique since 1995. 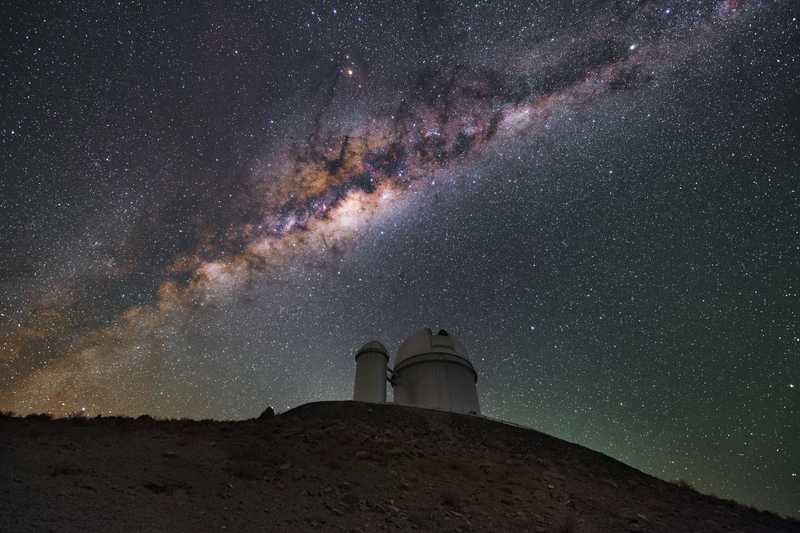 La Silla is one of its observing sites and in 2005 it detected the first rocky planet, with a mass only 5.5 times that of the Earth. At about the same time, NACO (with a coronographic mask) collected the first images of an exo-planet: 2M1207A-b, and water was found in its atmosphere via spectroscopic observations. Since then, more discoveries have followed. Exo-planet atmospheric characterisation via transit spectroscopy has been performed with CRIRES, with CO molecules identified. SPHERE, recently installed in Paranal, and ESPRESSO, to arrive in 2016, are just the latest instruments whose science cases focus on extra-solar planets detection and characterisation. The future of exo-planet science at ESO looks even brighter, as this topic is among the flagship motivations for the E-ELT, and provides the main science case for two of the three earliest instruments. Furthermore, a high-resolution spectrograph concept is being prepared, to follow the first three instruments, with exo-planets as one of the main science cases. Finally, provision has been made – once the required technology is ready – for a planetary camera and spectrograph whose goal is to image and characterise Earth-like exo-planets in the habitable zone. The understanding of the origin of planetary systems, and eventually of life, is a topic of uttermost importance, from the scientific and the philosophical point of view. ESO, jointly with the Astronomical Community, is taking up this challenge. Many exciting results have been obtained; many more are to come.